Mothers Day has been celebrated in the UK since the 16th century where a Mothering Sunday was celebrated on the 4th Sunday of Lent. Following the Church Service to honor the Virgin Mary, children paid tribute to their own mothers with gifts and flowers. However by the 19th Century this custom had died out and the impetus for Mothers Day in it’s current form came from the US where an official national Mothers Day was signed off by President Woodrow Wilson in 1914, following a long campaign by Anne Jarvis. The influx of US Servicemen into the UK in World War 2 saw the British once again adopt the custom of celebrating Mothers Day. Pearl Jewellery is a perfect Mothers Day gift, and the ability to purchase your gift online and have it dispatched in gift packaging, with free delivery, takes all of the pain out of selecting a sending your gift. Here at Scintilla Fine Jewellery, to assist with the process of finding the right gift, we have created a collection of stylish Mothers Day Gift suggestions on our Pearl Jewellery Online store. 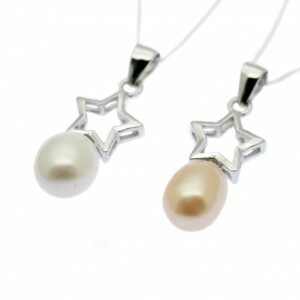 Pearl Pendant Necklace – Sterling Silver Star with Cultured Freshwater Pearl. 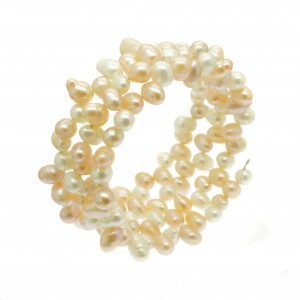 Available with White or Pink Pearls. RRP £29.95, Our Price £19.95 with Free Postage & Gift Packaging. 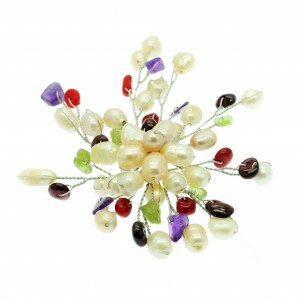 Large Pearl Brooch – Pastel Cultured Freshwater Pearls with Amethyst Garnet Peridot and Red Coral Gemstones. RRP £29.95, Our Price £19.95 with Free Postage & Gift Packaging. Pearl Bangle Multi Strand Bracelets – Cultured Freshwater Pearls on Memory Wire – Available in Blue Black White Pastel or Multi Coloured. RRP £24.95, Our Price £17.95 with Free Postage & Gift Packaging.